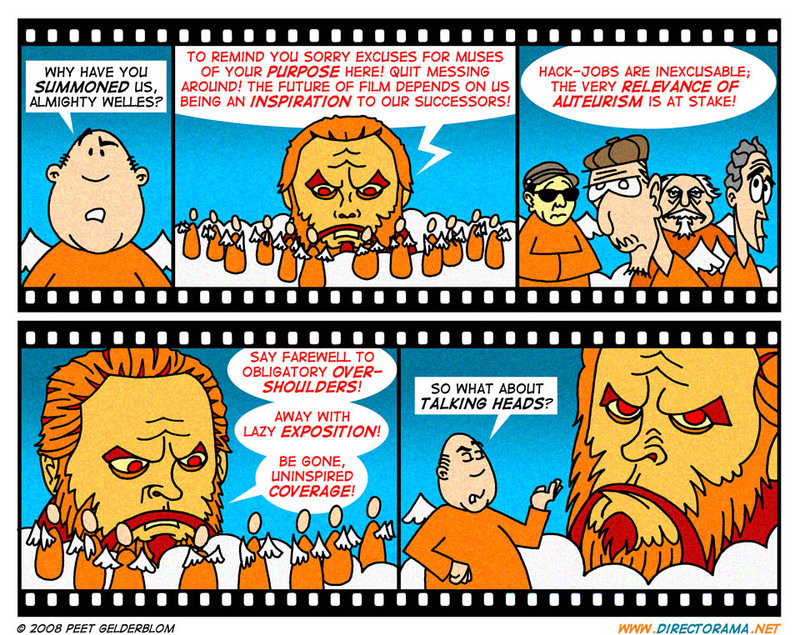 Directorama is also the name of a weekly webcomic that ran from October 15th 2007 to June 28th 2009. 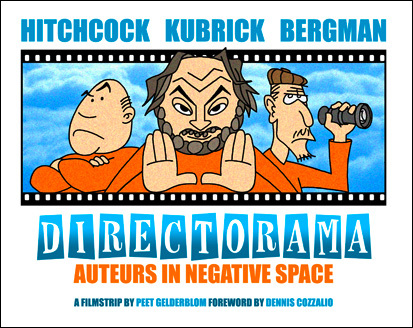 Written and drawn by Peet Gelderblom, it chronicles the afterlife of a pantheon of legendary directors duking it out for artistic supremacy. Their heavenly mission: To inspire filmmakers carrying the torch back on Earth. The strip itself was inspired by the near simultaneous deaths of cinematic masters Ingmar Bergman and Michelangelo Antonioni in the Summer of 2007. New episodes of Directorama were published every Monday, at this very website, as well as The House Next Door and the Brazilian website Cinema em Cena (in Portuguese). The first 30 episodes also appeared in Smallformat magazine. — JAMEY DUVALL | Movie Geeks United!